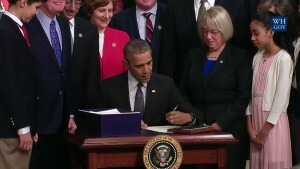 School librarians across the country cheered last week when the President signed the Every Student Succeeds Act (ESSA), which included provisions for school libraries. 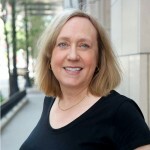 The reauthorization of the Elementary and Secondary Education Act (ESEA) has multiple provisions to support effective school library programs thanks to years of advocacy by AASL and ALA members and the tireless efforts of the ALA Washington Office led by Emily Sheketoff. The language at the federal level enables states and districts to provide for strong school library programs to give our students the best chance to succeed. The No Child Left Behind Act (NCLB) of 2001 did not have relevant “effective school library programs” wording. NCLB was implemented just as I started a state department of education position coordinating school libraries. I remember reading through sections on literacy, technology integration, reading, and student research with some enthusiasm since these were included in AASL’s standards as well as the programs led by my school librarian colleagues. 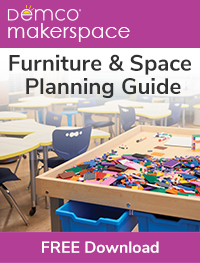 I could not, however, find references to school libraries despite trying a keyword search for any truncation of “library.” Without explicit language, the roles and resources of school libraries were all too easily re-instituted as tech integrators, literacy specialists, computer labs and classroom collections. Despite what we know about best practice and evidence of the impact of school libraries on student achievement, the lack of language in policy meant an even more difficult fight as state and local plans were developed for NCLB. Senator Jack Reed (D-RI), a champion for school libraries, did pass Improving Literacy through School Libraries, but school libraries had to compete across the country for the 50 to 90 grants awarded each year to the local education agencies (LEAs) with at least 20 percent of students from families with incomes below the poverty line. The $12-19 million annual appropriations throughout the nine years of the program never came close to a level that would allow for formula distribution for each state to consider equitable support for school libraries. 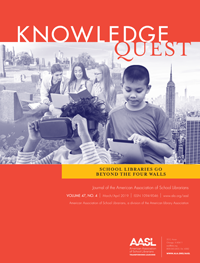 NCLB expired in 2007 yet remained in effect until a new reauthorization – a reauthorization that AASL was driven to ensure included language for school libraries. I was reminded about the importance of language in ESSA when I recently attended a leadership summit with the executive directors of other educational organizations. Richard Culatta, now in his last month as Director of the Office of Educational Technology for the US Department of Education, adamantly responded to a panelist’s comment that it wasn’t necessary to “call out technology” in any legislative language. Culatta said the technology doesn’t disappear such as when the Title IID Enhancing Education through Technology (EETT) language wasn’t there, but when that happens “the good decisions about how to use it do.” He saw what was being done with those resources change dramatically. I could have easily inserted “school libraries” into his passionate defense about the need for explicit language in policy. After years of effort, I’m grateful that I now see the ESSA language that puts school libraries back at the table. Provisions in ESSA for “effective school libraries” places school librarians and school libraries in position for the kind of change in instructional practice and resources we want to see for solving problems and creating and sharing new knowledge in student-centered learning. ESSA does not mean, however, that the need for advocacy has ended. Now, as ESSA is interpreted and implemented, we must use this opportunity to articulate what an “effective school library program” is and what that means in state and local plans. The call to action continues if we are to fill the vacuum left by the lack of school library language in NCLB. It will take lots and lots of work to bring others along in this unwavering belief that school libraries are integral to student learning. 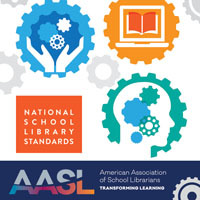 In the weeks and months ahead AASL, your professional association, will continue to examine ESSA, unpack the provisions for school libraries within the ESSA, and communicate how they will have impact for the school library community. AASL’s ongoing work with the ALA Washington Office as well as the partnerships we have with other educational organizations will highlight opportunities within ESSA language for school library programs. Words can make a difference. After years of fighting for the opportunity, we finally have the words in major federal legislation. We must now move forward and answer the call for how to inspire school librarians to rise to the challenge of effective school library programs in the ESSA language. AASL plans for new standards fit in well to this articulation. So do the WLMA LIT program framework http://www.wla.org/wlma-lit-framework as a one page description of what high-quality library and information technology programs look like. I look forward to being in Boston in January @ALA Midwinter to hear and participate in further discussions “unpacking” ESEA.